HomePoliticsWhy do they Want the Head of Viktor Orbán? Hungary – Geopolitical implications of the Hungarian Elections of April 8. After a contextual presentation of the current actors on the Hungarian political scene on the eve of the April 8 elections, followed by a socio-cultural analysis of the medium-term strengths and weaknesses of FIDESZ’s Hungary, I would like to close this triptych with some reflections on the international and geopolitical significance of this “Battle of Budapest” which has been raging for nearly a year, and whose final chapter is expected to start in two weeks. Let’s start with a simple and neutral observation: all eyes are on Hungary. In addition to the Visegrad Post and its liberal-libertarian twin, the Peace March of March 15 also caught the attention of no less than the Washington Post. Recall that it was an annual patriotic celebration – indeed coupled this year with a rally in support of the ruling party – which brought together a few hundred thousand people in the capital of a country smaller than Iceland and less populated than Greece – a capital where, for example, no French daily newspaper maintains a permanent correspondent. 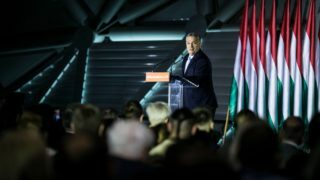 Of course the ideological pretexts are not lacking to justify this new-found obsession:, Viktor Orbán’s more and more articulated illiberal discourse allows all the hired Cassandras of the “free world” to agitate the most used spectra of the Antifa rhetoric, detecting as usual a phantom of anti-Semitism (to which Benjamin Netanyahu does not seem to be very sensitive, however), a barely masked racism (which, oddly enough, did not prevent many Gypsy supporters of FIDESZ from participating in the march), etc. In comparison, the recent and inexcusable verbal gaff of the former Romanian Prime Minister Mihai Tudose, who threatened nothing less than to hang those Szeklers who challenge Romania’s state centralism, made less waves. To say nothing of the xenophobic rhetoric (including anti-Semitism) which has become commonplace in the discourse of Ukrainian politicians, and in comparison to which the Tudose’s “gaff” becomes, if I dare say, a simple “footnote in history”. As can easily be seen, regarding this post-communist world so poorly known in the West, the anxieties of the Western media prove to be highly selective. In short: even disregarding the international cash flowing towards “NGOs” presently active in Hungary (difficult to quantify, but judging by the results, these days it must be very huge), this simple media focus (which is an objective data) would be enough to prove that the stakes of the Battle of Budapest far exceed those of the domestic policy of this small landlocked state, relatively poor and practically disarmed. As I have previously shown, the primary war objective of the “international community” is to dethrone Viktor Orbán – who is, moreover, perfectly aware of this, and misses no opportunity to recall that his real opponents are not the parties of a scattered Hungarian opposition, without programs or credible leaders, but international forces on a completely different scale of power. Not only for such forces, but even for the German regional hegemon, little Hungary, even though it would become ten times more illiberal than it presently is or pretends to be, will never be a threat in itself. In the noble art of ideological camouflaging of geopolitical realities, anyway, Viktor Orbán is not less talented than the Western press. 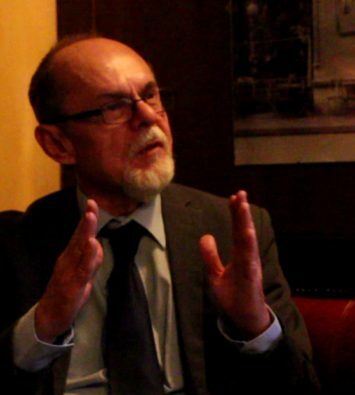 If you listen to him (at least for 90% of his public statements), the dominant, or even unique issue would be the migration problem – a sledgehammer argument which he knows unites the Hungarian electorate well beyond the ranks of his party, and the central European masses far beyond Hungary, for clear and legitimate reasons that become obscure or criminal only in the parallel world of the globalist echo chamber: not having participated in the extra-European colonial adventures of the last century, Central Europe sees the current migratory waves with as much sympathy as the average Afghan if he were to witness the landing of one million Czechs in the Pamir valleys. Nothing more normal. FIDESZ, however, is eager to win and/or retain potential allies in the West, hence missing no opportunity to “internationalize” the problem, by evoking the testimony of Western opinion-leaders (such as Renaud Camus) specialized in the “grand replacement” theme. At this level of analysis, however, one can legitimately wonder why Orbán’s discourse would be more worrying in high places than the anti-immigration statements (often much less “coated”) of any Italian populist leader – i.e. actors in the political life of a country weighing much heavier in the objective balance of European powers. 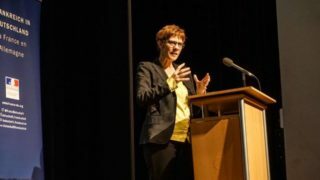 After all, the migration issue as it is most often debated – in essentially ideological, moral and cultural terms – is (provided one takes into account the long-term stakes) the same all over Europe. 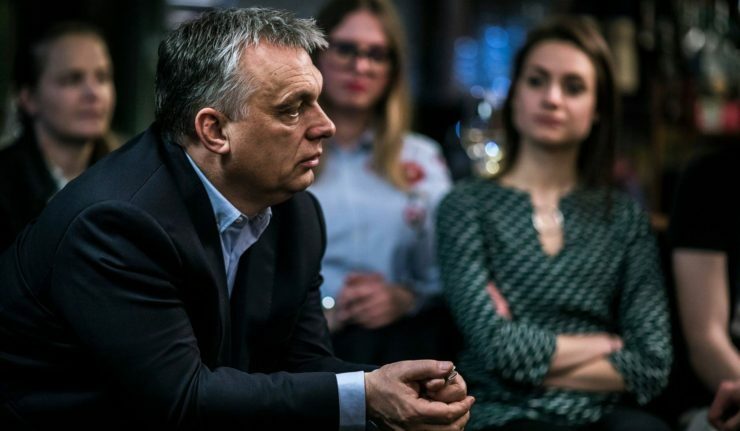 The “Orbán accident” – read: the appearance of a leader breaking the euro-silence imposed on this problem – could have just as easily happened in Ireland or Denmark, right? Well, no. In reality, in the ranks of the oligarchy, all serious actors – including the most frenetic supporters of forced interbreeding – know very well what even many supporters of FIDESZ discretely admit: in the absence of migrants wishing to settle in a post-communist Europe with low wages and almost devoid of a welfare state, the standoff in this area between Brussels and Visegrad has no short term stakes. The “wall” erected by Hungary cuts-off only part of the so-called “Balkan route” – which is by far not the only clandestine access route to the EU. And even in the event of a rapid enlargement of the EU and Visegrad to the Western Balkans, anyone who’s able to count will understand that Visegrad – even supported by Austria, which is not yet a certainty – will not “take control of Brussels”, as it happens in the dreams of some Western publicists, like Eric Zemmour, in search of the philosopher’s stone the anti-immigrationist Europhilia (i.e. borders without sovereignty). In this case, who is afraid of Viktor Orbán? Recall here that not only the “EU manna” so often reproached to Central Europe is in fact a mechanism allowing the French, Italian, Spanish, etc. taxpayer to subsidize German industry via the infrastructure that links it to its low-wage workshop in Central Europe – but also and above all, that maintaining a low level of wages in the CEECs is one of the essential parameters of the equation that turns the EU, in its current form (reinforced by Brexit), into a machine to enrich Germany on the back of southern Europe. Finally, to deindustrialize France, Germany absolutely needs an additional decade of dumping based on the competitive margins earned in its eastern sweat shops. 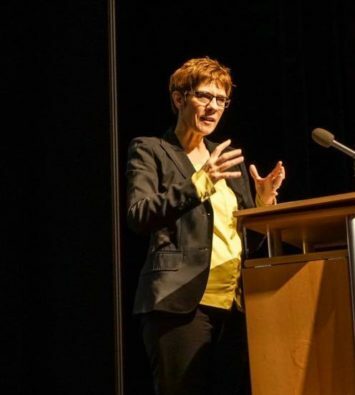 And, contrary to what is sometimes said, this central European hinterland of Germany is not really replaceable: nowhere else in the world will Germany find the same combination of poverty, geographical contiguity, technical competence and cultural compatibility that made the success of this new Drang nach Osten. Theoretically, even if they consider that it’s too early for any attempt to escape hinterlandisation, the CEECs would thus have a margin of negotiation vis-à-vis their German “employer”, which has at least as much to lose as they do in case of a “strike”. They could easily obtain a “raise”, or at least a better rate of local reinvestment of the profits they generate, so that they can timidly emulate, mutatis mutandis, the Chinese model of symbiotic development. In practice, however, this margin of negotiation exists only to the extent that the CEEC reaches the degree of political unity that would allow them to speak with a single voice. This is the danger named Orbán. Here is the biggest unspoken truth of current European politics: if Visegrad is in fact not able to change the ideological course of the EU, and will most likely also fail to stop the migrant invasion Europe-wide (managing at most to stop it at their own borders in the short term – but rather thanks to the lack of candidates), the consolidation/enlargement of Visegrad, on the other hand, hovers over Berlin the specter of the creation of a trade union of its eastern subordinates, the appearance of which would radically change the data of the “EU federalization” problem. It is therefore – though not necessarily for the most frequently mentioned reasons – Visegrad that we are talking about. And, from the point of view of this consolidation/enlargement, Hungary, small as it is, is also and above all central – geographically (as a logistical node and link between the “Baltic bloc” being formed around Poland + former Czechoslovakia and the Balkans), economically (more or less halfway between Poland and Macedonia in terms of wealth and industrialization) and geopolitically (between a “Baltic bloc” haunted by the ghosts of a traumatic history with Russia and the Russophile axis of the Orthodox Balkans). As a medium-sized country (neither Poland nor Estonia), by its social composition (neither relatively homogeneous as in the Czech Republic, nor strongly unequal as in Romania) and confessional make-up (half catholic, half Calvinist), but also by its degree of religiosity (intermediate between the 80% secularized Czech Republic and the huge Polish Catholic revival), Hungary is also, by its language, a “neutral ground” – neither Slavic, nor Latin, nor Germanic – which, already under Communism, often provided its neighbors with an ideal meeting place for arbitrations, uneasy and/or discreet reconciliations, etc. Therefore, if Hungary owes much of its recent international popularity to the herculean personality of its prime minister, one can say that the reciprocal is no less true: for structural reasons, the emergence of a regional leader of the stature of Viktor Orbán would have been – if not impossible – at least more difficult, and regionally less consensual, in Poland, Romania or Serbia. 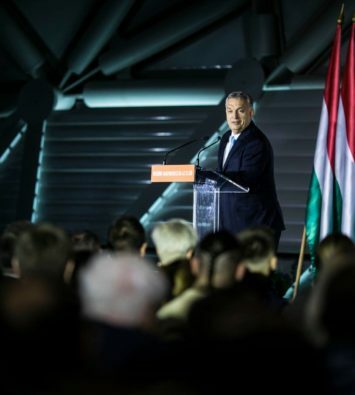 Without Viktor Orbán, the Visegrad project, as it has taken shape over the last few years, would lose its face, and would probably change course, regress, or even disappear. This, in my opinion, is the primary war objective of the West in the current battle. 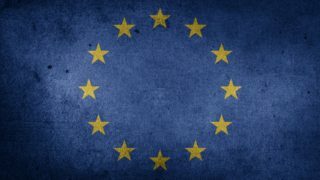 As Viktor Orbán does not play fairer with Germany or with his “ideological allies” of the Western Right than Germany is playing fair with them or with the CEEC, and as all the protagonists continue to consider – it is almost their only common denominator at the moment – that a disordered implosion of the EU is one of the worst possible scenarios, it is easy to understand that both sides prefer to compete verbally in the geopolitically neutral field of the migration quarrel – whether to support, with the Western left, the universally positive miscegenation, or to pose, like Viktor Orbán, as a protector of the whole of Europe. The real picture, however, shows a landscape more deeply determined by geopolitics than by ideology, in which the invasion to which Viktor Orbán – true hero, indeed, of Central Europe – seems indeed the only one capable to oppose is above all that of predatory capital, while the distant prospects of “Islamization” become somewhat blurry behind a much more immediate danger of transformation of the CEECs into captive markets and peripheral / aging colonies emptied of their vital substance by the brain drain. 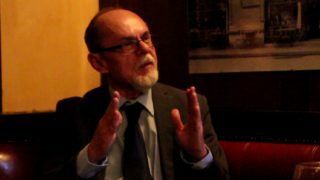 In this sense, one can – exceptionally – agree with the head of the once far-right Hungarian Jobbik (now the main piece of the Sorosite anti-FIDESZ conspiracy), Gábor Vona, when he says that “the danger is not immigration but emigration” – while, of course, retaining serious doubts about the ability of this political weather vane to effectively oppose one or the other of these perils effectively within the “Chaos coalition” into which he was foolish enough to let Jobbik sink. Let me get this straight, Modeste. You’re saying that if Visegrad fails to influence EU tendencies (which it will) and/or to get a bit of leeway in respect to Western capital, then Visegrad could establish a “trade union” maybe alongside the Western Balkans. I’m not sure what you mean by “trade union”. 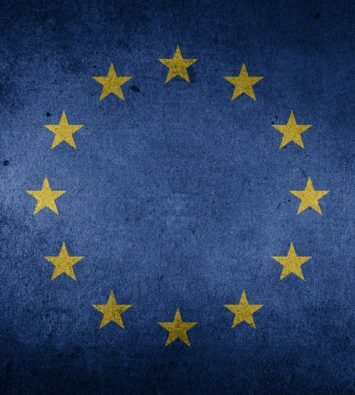 An EU of some kind within the EU? A combination between the Habsburg Empire and the Commonwealth? This is what Germany could fear? Because if it’s about an EU within the EU, let me tell you that, Orban or no Orban, this has about zero chances of success. All the region’s history and particularities aside, you seem to forget that “predatory capital” is not a Western exclusivity. “Predatory capital” does very much exist in Visegrad countries. Guess where are they hunting right now, Modeste. It’s about being hinterlandised or do the hinterlandisation yourself. Want to know why Visegrad will fail as an EU within EU, Modeste? Enel, ENI, CEZ. Guess which one acquired the reputation of being the most rapacious and dishonest between the three? Yes, Modeste. It’s always about predators and prey. And about several predators seeking to devour the same prey.